01 « February « 2012 « Nothing in Biology Makes Sense! 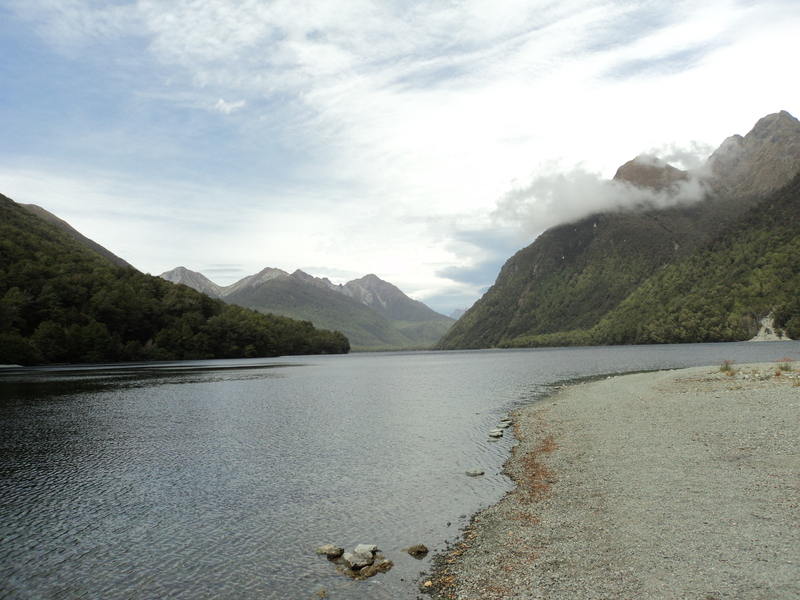 Lake Gunn in the fiordlands. Lots of tetraploids and triploids in there! Hello from the land of Kiwis (the fruit, the bird and the people)! As I mentioned in my last post, I’m a coevolution nut, and down here with all the kiwis there is also an excellent system for studying coevolutionary interactions between hosts and parasites. So during the most frigid part of the terrible winter in Washington state, I take off to the sunshine and summer of the southern hemisphere to do my field work! It’s a rough job, I know. From then on P. antipodarumhas become an excellent system to study the evolution and maintanence of sexual reproduction, a long standing debate in evolutionary biology (See Maynard Smith 1978, Williams 1975, Bell 1982, Kondershov 1988).